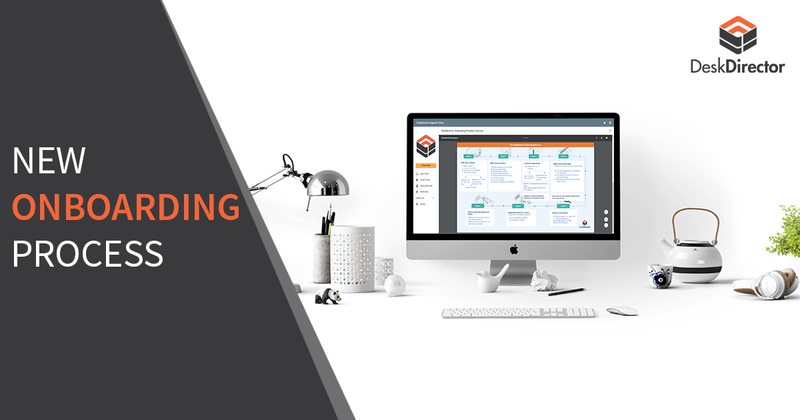 Blog DeskDirector Business Blog Our New & Improved Onboarding Process is on the Go! Our onboarding “style” worked but wasn’t the best one. It lacked structure. Over time we started making customized phone calls based on the knowledge some of our new customers already had but then, figured out that in some cases people missed very important information, and most of the time they missed the big picture, how to make a DeskDirector project successful? Technically, DeskDirector is not a very complex product, but practically, it requires a lot of understanding and effort from an MSP itself to make it successful, aka useful and valuable for their clients. This might scare off some MSPs that are thinking that they are buying a “plug and play” solution. It is not really it. DeskDirector is a platform that gives you tools to make your client’s experience with your MSP unforgettable; and we are constantly improving those tools and adding new ones, but it is an MSP's job to use those tools to their advantage. 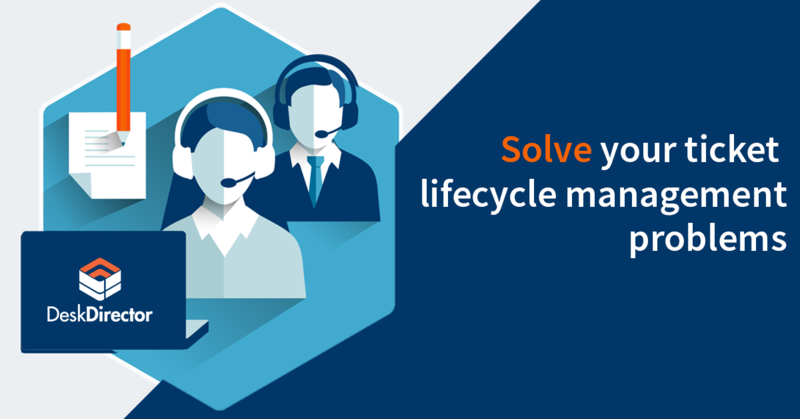 Our new onboarding process provides a clear idea of what is required from an MSP business to implement the DeskDirector project into the heart of their customer success efforts. Please keep in mind that this is the first version and we’ll keep improving it upon on any feedback we receive. You can download a PDF version here. 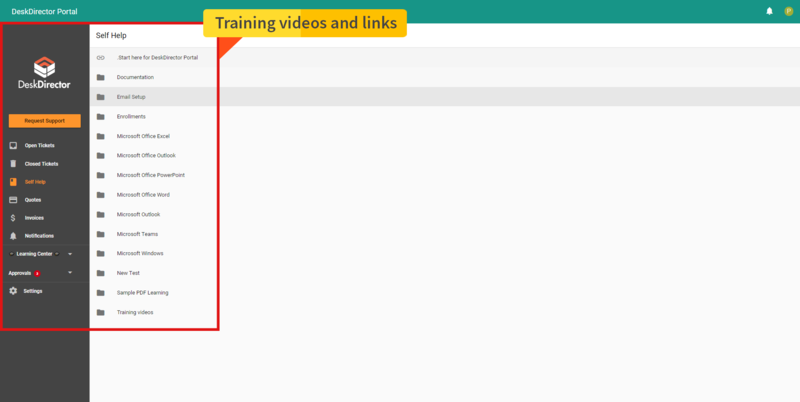 All the actual training modules are now available inside our Support Portal for all our customers. The benefit of this new onboarding is that it has a thought through process and steps that you have to take to achieve a maximum value out of your DeskDirector Portal. Each module contains all the training materials and documentation that you need to undertake to complete each module successfully. 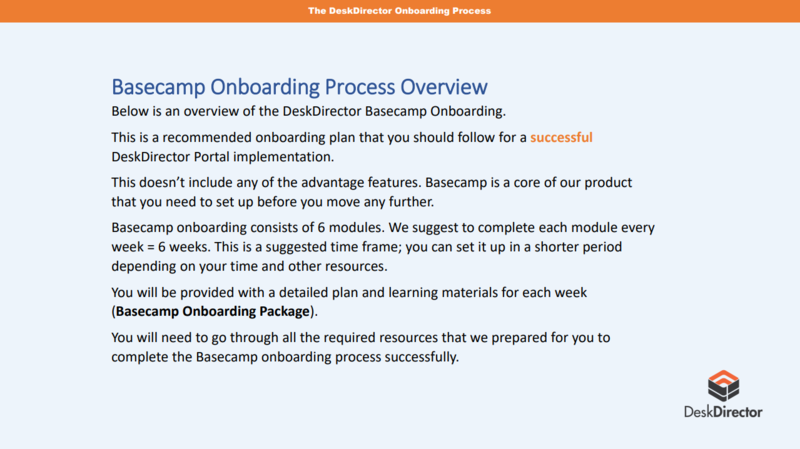 If you are an existing client, have a look at the Basecamp Onboarding Overview Process document above and identify if you have any gaps from the process and refer to the related week/module. As you may have noticed, Advantage Components (add-ons) such as DD Portal for Windows or Custom Domain are not included in the Basecamp onboarding process. This is done for a purpose as we encourage you to get the core done first and get the maximum value out of Basecamp subscription.